While this sounds like a lot of work, it is something that everyone should do... including myself. I am one of those holdout people that just wants to keep on remembering passwords. What makes it works is that working on the IT side of things, my passwords multiply and expire constantly. I have my methods, but if I had only the external ones to remember, I think this service would be one I would use. If anything could make me feel paranoid enough about my password security to take some intensive steps it's this article. LastPass seems like a pretty good solution, and the free download is definitely a plus. @rklau, thanks for a great article. I just spent 60 hours over the last few weeks getting all of my many years of site, contact, and other information into LastPass. It has been arduous to say the least, but well worth it as well. This is just a first pass and I daresay I probably have another 60 hours to get everything organized exactly like I want, but this is a good first start. LastPass really is a lifesaver and the support staff are just awesome with lots of great support on the forums too. Finally, I just took my latest LastPass Security Challenge and have improved my rankings dramatically. 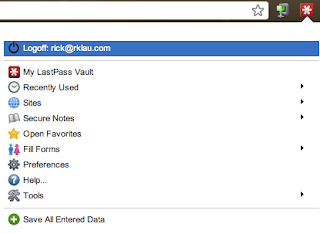 I just cannot say enough good things about LastPass which is my go to app for everything. Again, thanks for a great article. 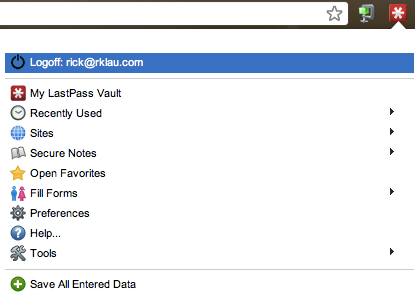 I'm liking lastpass too. It's a great help for me, especially when I have to access both my personal and business accounts.